Graeme Craig Smith (born 1 February 1981) is a South African cricketer and former captain of the South African cricket team Test side, having succeeded Shaun Pollock after the 2003 Cricket World Cup. He was succeeded as captain of the ODI side by AB de Villiers after the 2011 Cricket World Cup. He is also currently the overseas player and captain of English side Surrey. He appeared in his 100th Test against England on 19 July 2012. He captained his 100th career Test match on 1 February 2013, against Pakistan, on his 32nd Birthday. A tall, left-handed opening batsman, on the 2003 South African tour of England he made double centuries in consecutive Test matches: 277 at Edgbaston, and 259 at Lords. The 259 is the highest score made at Lords by a foreign player. On 24 October 2013, Smith became the second South African and 12th overall to complete 9,000 runs in test cricket in his 112th test match. Known for the success of his opening partnership with Herschelle Gibbs, South Africas most prolific ever opening partnership, Smith has the distinction of having been part of all four of South Africas opening partnerships of over 300 runs: in three of them he was partnered by Gibbs, and in 2008 Smith added 415 for the first wicket with Neil McKenzie against Bangladesh, a world record opening partnership. On 3 March 2014, during the third Test against Australia, he announced his retirement from international cricket. Born and raised in Johannesburg to parents Graham and Janet, Smith was educated at King Edward VII School. Smith played three Tests, and seven One Day Internationals for South Africa Under-19s, of which five were during the Under 19 Cricket World Cup. He scored one fifty in the test matches, but scored five half-centuries in the one dayers. Smith was also awarded the South African Cricketer of the Year award for his performances in the 2001–02 South African cricket season. Smith married Irish singer Morgan Deane, at St Bernard Catholic Church in Claremont, Cape Town in August 2011. Their daughter, Cadence Christine Smith, was born 25 July 2012. A year later, the Smiths welcomed a boy, Carter McMorrin Smith, on the 15 July 2013. On the 18 February 2015, Graeme and Morgan publicly announced that they would be divorcing after four years of marriage Smith is also an ardent Liverpool F.C supporter. 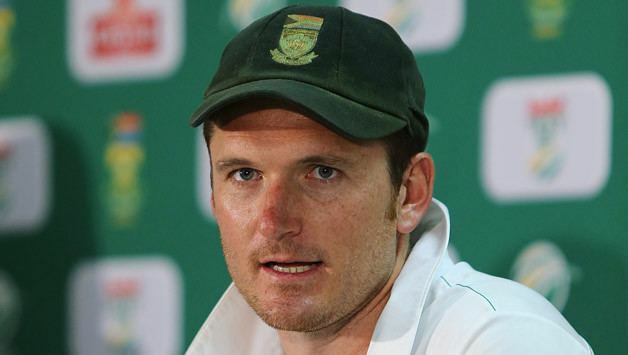 Graeme Smith has played for a number of cricket teams in South Africa. He currently plays for the Cape Cobras but due to his international commitments, his appearances for them have been limited, his last game for them being in 2010. In total he has played 17 games for Western Province scoring 1,312 runs with four centuries at an average of 46.85. He has also played for other teams in South Africa including United Cricket Board of South Africa Invitation XI and Western Province Boland. He has also played county cricket for Somerset in the 2005 English cricket season, captaining the club for part of the 2005 season, and he scored a century in a tour match against the Australians in preparation for the 2005 Ashes series. Against Leicestershire at Taunton he scored his maiden first-class triple hundred (311 off 255 balls). He also hit 105 in the Twenty20 Cup match against Northamptonshire, which is currently the 15th highest score in the domestic Twenty20 Cup competition. Smith also captained the team to victory on finals day to secure the Twenty20 Cup trophy, making 64 not out from 47 balls in the final. 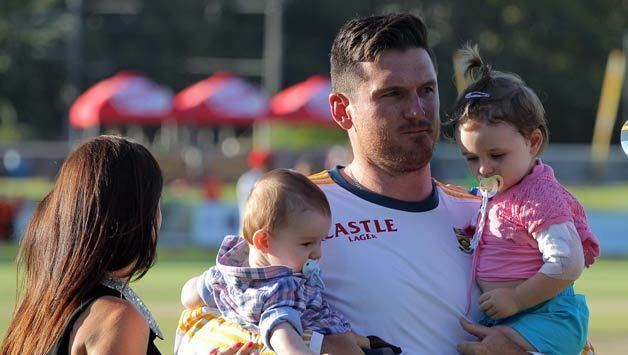 In 2008 Graeme Smith played in the inaugural Indian Premier League for Rajasthan Royals. His opening partnership with Swapnil Asnodkar achieved significant success. "You can know an opponent as a cricketer," Royals captain Shane Warne, with whom Smith had had multiple dustups in the past, wrote afterwards, "but you only start to know him as a bloke when you play in the same side. As it turned out, the Graeme Smith I played alongside for the Rajasthan Royals in 2008 was different to the Graeme Smith I faced in the Test arena. That was the great thing about the Indian Premier League. It brought together players from all countries to share ideas, swap experiences and take the game forward worldwide. We had a laugh and a joke about the things we had said in the past. They sounded quite funny looking back. I know he has a few regrets, but, all credit to him, he sees the funny side." 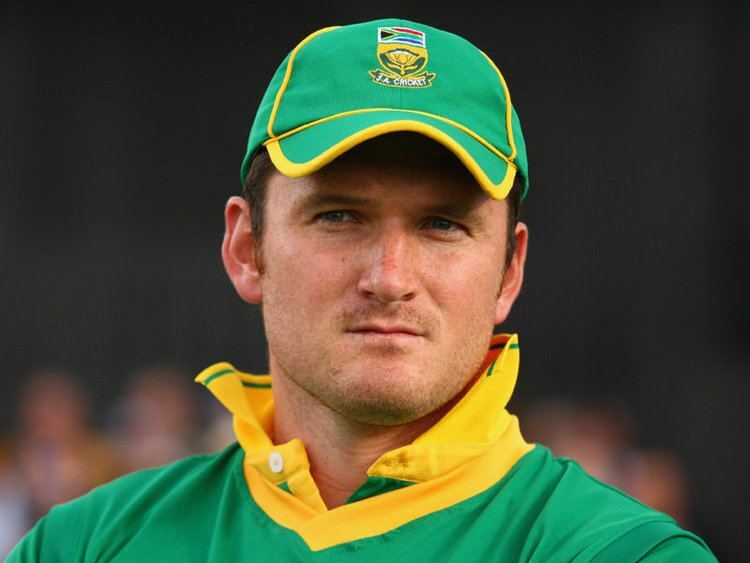 On 1 November 2012 Graeme Smith was announced as the new captain of Surrey County Cricket Club starting in the 2013 season. He received his county cap at lunch on day 1 of the first championship fixture of the 2013 season against Somerset. Smith made his Test debut for South Africa in 2002 in Cape Town against Australia, batting at number three and scoring 68 in the second innings. Promoted to open the batting with Herschelle Gibbs against Bangladesh in his third Test match, Smith scored 200. In the following home series against Pakistan, Smith (who scored 151) and Gibbs (228) shared a first-wicket stand of 368, a national record until bettered by Smith and Neil McKenzies 415, and at the time the fourth highest opening partnership in Test history. Following the 2003 Cricket World Cup and Shaun Pollocks subsequent resignation, Smith was selected as captain for South Africas next Test. The decision was criticised as it was felt that he had shown few leadership credentials: He had played only eight Test matches and 22 ODIs before being given the captaincy. 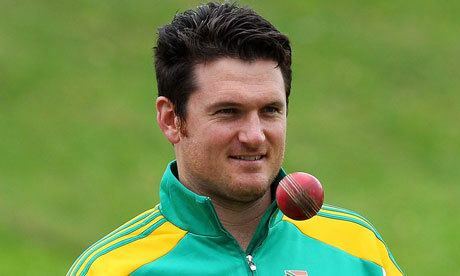 Graeme Smith was only 22 years and 82 days old when he captained his first match against Bangladesh, the youngest ever South African captain. During the tour of England in 2003 he made double centuries in consecutive test matches: 277 (and 85 from 70 balls in the second innings) in the first Test at Edgbaston, and 259 in an innings victory in the second Test at Lords. His 277 remained the highest individual Test innings scored by a South African until November 2010, surpassing the previous record of 275 held jointly by Daryll Cullinan and Gary Kirsten; his 259 remains the highest score made at Lords by a foreign player, breaking the record of 254 set by Sir Donald Bradman in 1930. These performances prompted Alec Stewart to call him "the most impressive 22-year-old I have seen in cricket"; the Edgbaston match prompted Nasser Hussain to retire as captain of England, to be succeeded by Michael Vaughan. This outstanding run of form could have continued but for an unusual dismissal: in the third Test at Trent Bridge Smith, on 35, played back to Andrew Flintoff and trod on his stumps to be dismissed hit wicket. Smith did not pass 20 again in the series as a galvanised England led by Vaughan won the match and fought back to draw the series 2–2, but Smith nonetheless finished the series with an aggregate of 714 runs at an average of 79.33, and was named player of the series (jointly with Flintoff). He is currently the most successful Test captain, having overtaken Ricky Pontings 48 Test victories. During a Test series against South Africa in 2005, Trinidadian Dwayne Bravo scored his maiden century – 107 before getting out to Mark Boucher – in the fourth Test in Antigua, but that was overshadowed when he accused Smith of directing a racist comment at him. At the subsequent hearing no evidence could be found and charges were dropped against Smith, who immediately demanded an apology from Bravo. Bravo, backed by the West Indies Cricket Board, refused to do so and received a hail of criticism from an indignant South African press while finding support at home as a human rights campaigner.